Last month I was on the train going to work and I suddenly thought "I want to go on a hot spring trip!" 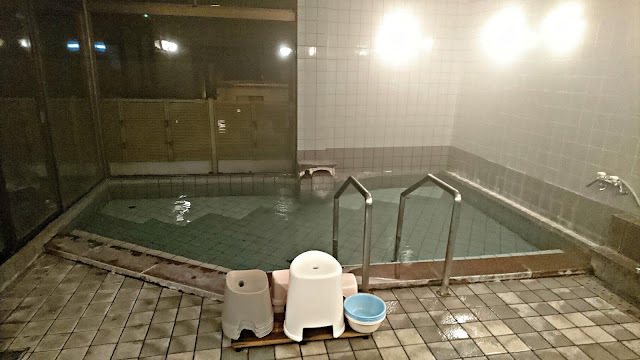 so I whipped out my mobile phone and did a quick search for onsen (hot spring) near Tokyo. 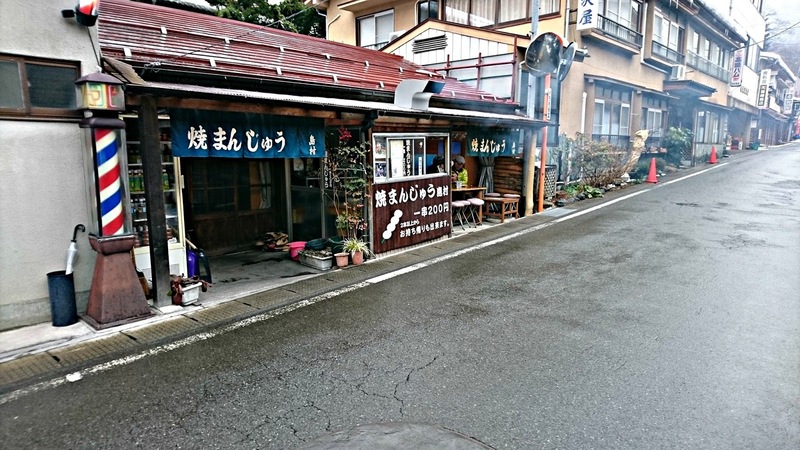 A few places that are fairly well known popped up and then I noticed one that I hadn't heard of before, Shima Onsen (四万温泉). I was curious so I did a quick image search and found pictures of what appeared to be a small country village with a nice old town look and vibe to it. 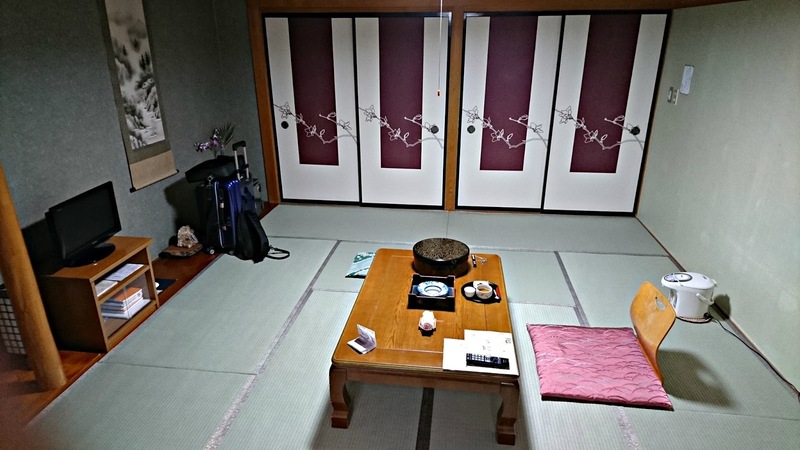 Throughout the rest of the day, when I wasn't busy, I did a little more research and by that night I had decided that this was where I wanted to go so I jumped onto the Rakuten travel website and booked a couple of nights in a traditional Japanese ryokan (Inn). Shima Onsen is a tiny little mountain village tucked away in the mountains in Gunma, about 170kms northeast of Tokyo. The onsen was discovered about 1,000 years ago and the village was established in the 16th century and is widely regarded as the oldest onsen town in Japan. 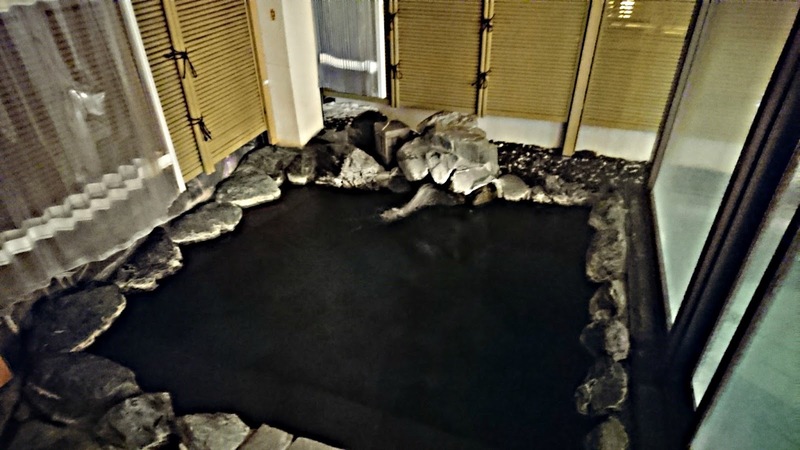 It has been visited over the years by regular people seeking to soak in the onsen waters that claim to treat over 40,000 illnesses and was also visited by famous animation director and producer Hayao Miyazaki (who was responsible for many of Studio Ghibli's world famous animation movies such as Princess Mononoke, Spirited Away and The wind rises) prior to the making of Spirited Away. 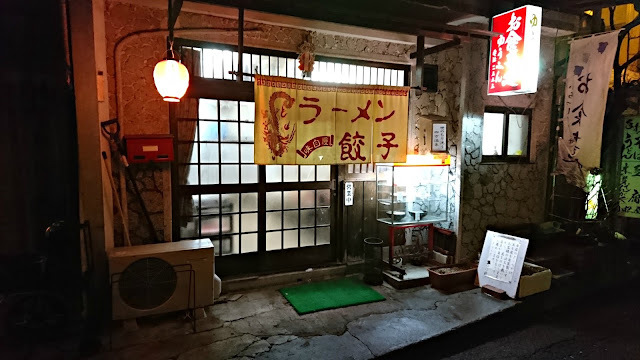 It is said that that there is a red bridge in the town that was the inspiration for the red bridge that lead to the sento (bathhouse) in Spirited Away. The day of departure came and I set off for my local train station. Now there is a particular website that I use to plan which trains to use and it told me to catch the Shonan Shinjuku line from Shinjuku station to Takasaki station (about a 115 minute ride). Seeing that it was a reasonably long ride and I had a couple of bags with me I bought a green car seat ticket (780 yen extra) for a bit of extra space. To buy a green car ticket you need an electronic ticket called a PASMO or Suica which you can purchase at any train station ticket machine. I purchased my green car ticket from the green car ticket machine on the train platform and then the train arrived and I jumped into the pretty empty green car and started my adventure (yes, the word adventure is used here for a reason....). You need to scan your PASMO or Suica on the scanner that is above your seat and a light overhead switches from red to green. This shows the train attendant that you have bought a green car ticket. 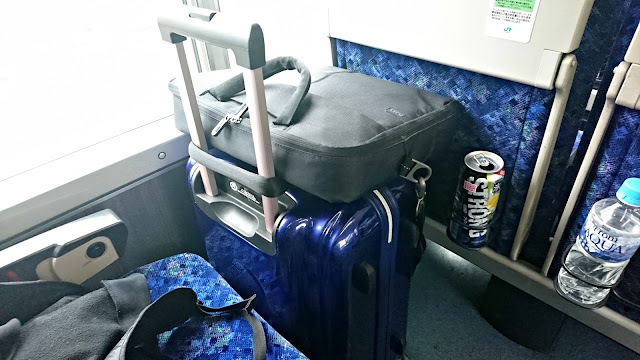 A few minutes later the train attendant came through the car with a selection of snacks and drinks available to buy (she also checks each passenger's seat to make sure the green light is on) and I bought a drink and settled in for the ride. A little over half an hour later the train pulled into Omiya station. I was pretty relaxed at this point and looked out at all of the poor people on the platform rugged up against the cold winter wind outside. The train left the station and a few minutes later the train attendant came back through the train and stopped at my seat and pointed above my head. I looked up and my light had changed from green back to red. She asked me something in Japanese which I didn't understand so she got her English handbook and asked "Where is your destination?" to which I replied "Takasaki." She suddenly had this worried look on her face and said "This is now the Utsunomiya line. You needed to change at Omiya to the Takasaki line!". 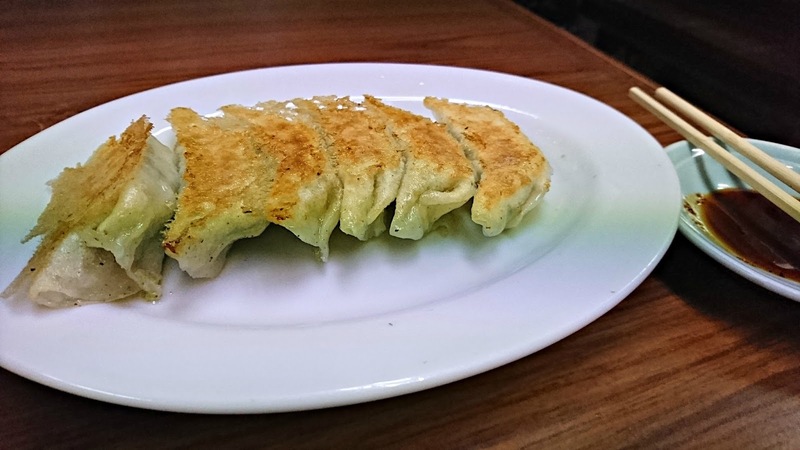 Now my train info hadn't told me that and if I hadn't bought the green car ticket then I would have finished up in Utsunomiya (in a completely different part of the country to Takasaki) eating gyoza dumplings instead of enjoying an onsen! I jumped off at the next station and went back to Omiya where I switched across to the Takasaki line and continued on to Takasaki station. At Takasaki station I switched, again, over to the Agatsuma line where I ended up in Nakanojo. Nakanojo is the nearest train station to Shima Onsen and from Nakanojo it's another 45 minutes by bus. All up it took about 4 1/2 hours (not including the delay due to the train mix up) from my station in Tokyo. and walked inside. I was met by one of the owners who was very, very friendly (not a lot of English though) who then showed me to my room. 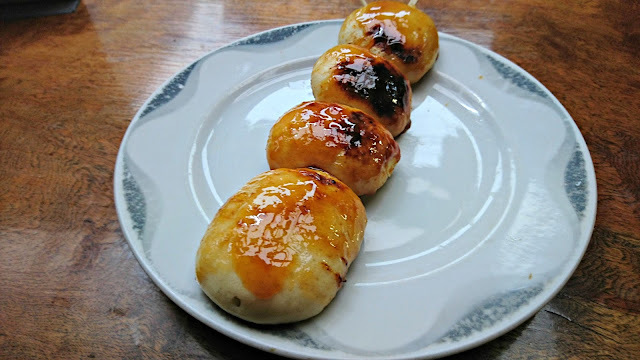 I waited until the lovely old (about 80) lady looked up at me and ordered one yaki manju. Only a few minutes later it was ready. I wandered around for a little having a look at my immediate surroundings. 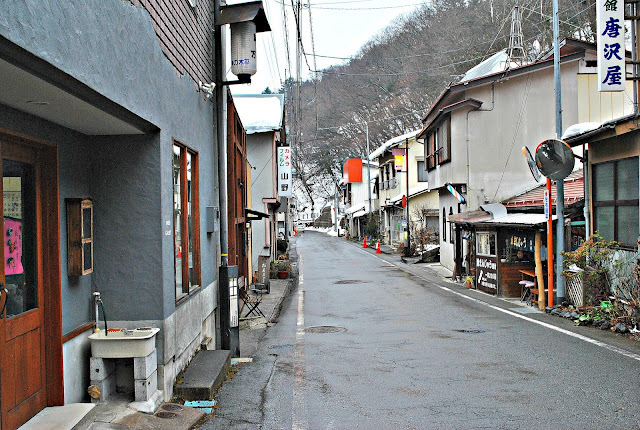 What I found was not too dissimilar to Gujo Hachiman, a small town in Gifu that I visited last October. Every Japanese person who has seen these photos has mentioned that it brings feelings of nostalgia for them, as though they are looking at Japan 50 or 60 years ago. Running through the middle of the city was a river with banks lined with snow. It was not snowing at this point, but the weather forecast was predicting snow over the next couple of days, so I was hoping not to be disappointed. I wandered back to the ryokan and decided to go and check out the onsen. 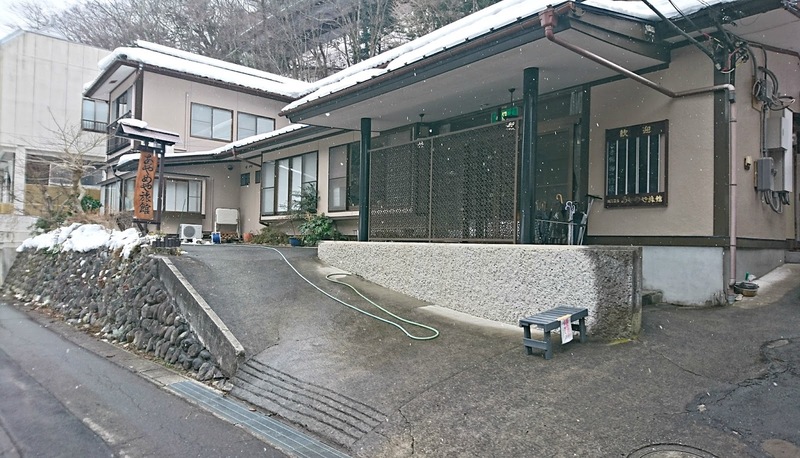 Now, I will also mention here that there is pretty strict etiquette regarding using both onsen and sento. Here is a link to a guide on how to enjoy sento and onsen from the good people at Japan-guide.com. Theirs is quite a comprehensive website that I often use. After enjoying a nice relaxing soak I decided to head out to find some dinner. The time was about 7:30 when I left the ryokan and I was surprised to find only 2 restaurants in the area open. This is a heads up to be careful about what time you go out for dinner or to get some drinks. 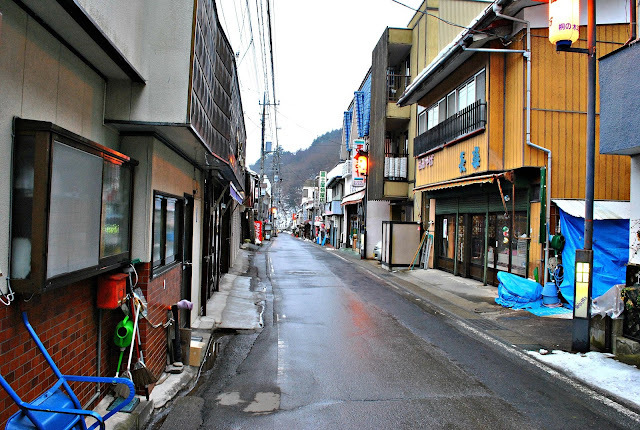 Shima Onsen is essentially a relaxation place, not an entertainment town. There are no bars and the town shuts down quite early as most visitors are in their hotels enjoying hot springs. There are a couple of liquor stores where you can buy supplies to enjoy back in your room, but these are also closed by early evening, so make sure you visit them early! and walked in to find..........nothing! There were no customers, and no staff! Glancing around the room I noticed a button on the wall that looked like a buzzer so I walked over and pushed it. Hearing a faint buzz come from somewhere behind closed doors I hoped that someone had heard. About 2 minutes later an older gentleman (in his 80's) wandered through the door, took a double take then recovered and asked me to sit down wherever I liked (not a lot of foreign visitors to Shima Onsen I guess, but this was what I had wanted when I selected Shima Onsen as my destination!). I looked up at the menu board to make my choice. While I couldn't understand everything on the menu, I could understand enough to order some food. 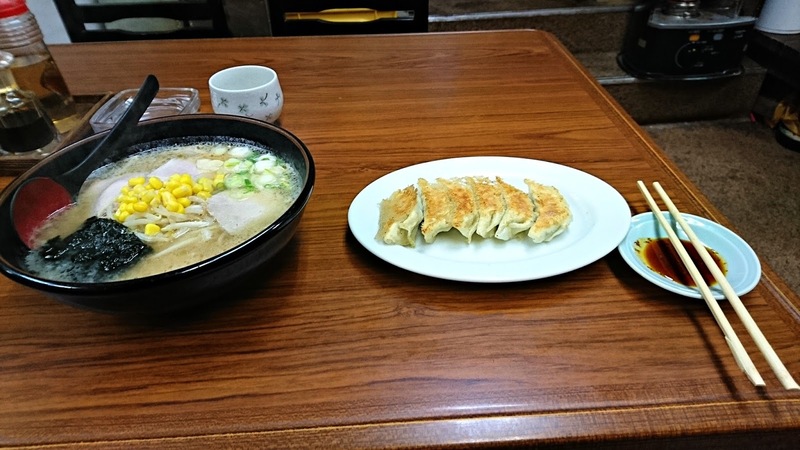 After placing my order, the owner wandered off and prepared my meal. He had kindly turned on the television for me and I was treated to a Japanese wildlife documentary. Pretty soon my food came out. I started devouring it (it had been quite an adventurous day and I had worked up quite an appetite) and the old man proceeded to sit down a few metres away and started watching TV. After a few minutes he started chatting away with me in Japanese. Now I could only understand about 30% of what he was saying but I was acknowledging everything he said so he figured that I could understand so he kept on going! We had a fabulous conversation (with very little input from me) and before I knew it the bowl was empty. I paid the lovely gentleman who thanked me for coming and told me to come back anytime. With a contented belly and a smile on my face I headed back to the ryokan for another soak in the onsen. I think I will finish this update here. 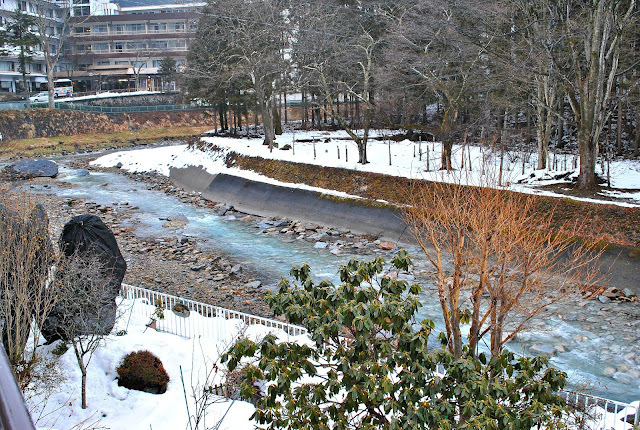 There should be another one or two posts about Shima Onsen to come so please look out for them. Thanks, as always for reading, leave me a comment below to say Hi, and I will see you soon for part 2. Bye. I think I'd be out of luck with covering all my tattoos! Definitely, you'd need to be wrapped up like a Mummy! Another out of the way destination. It looks like a gem. I hope we will get a chance to visit this one. Hi Noel, sorry, I didn't notice your comment there. As you well know, the Japanese will go out of their way (as far as their English will allow them to) to help people. 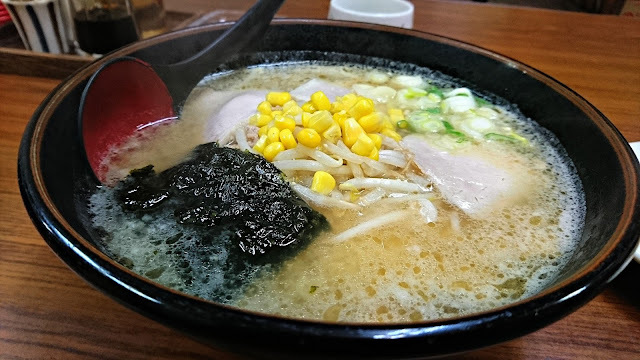 I have experienced it many times in my time here in Japan. It is quite impressive! I am please that the Bombers are doing well. I see they had another win in the Anzac Day game. It's always good to win that one. Also great to see Daniher win the Anzac medal! As far as Amber is concerned, her learning will outpace mine for sure! !